Some people call me Big Simon, but don’t let that intimidate you. God just made me big (a slim 104 pounds, thank you). If I have a slight weight issue, it’s just a winter thing. Too much couch time. Back to my story, when I was 6 weeks old, someone dropped me and my brothers and sisters off in the woods with no food or shelter during the winter. A nice man found us, and we’ve been with our family, including Tucker, ever since. My favorite activity is fishing. My mom calls me a Norwegian water dog (a stretch at best), but I do look the part. I fish off our dock every chance I get. Haven’t caught one yet, or even come close, but I love to spend hours at a time watching, waiting, and then diving in the lake after every fish I see. Guess I just enjoy the splash! Ok, now it’s time to stop reading, and just admire a few photos of me. My treat! 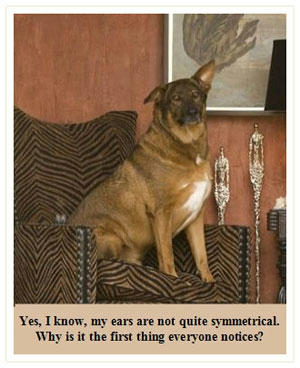 Know more about Uttermost Dogs, click here.